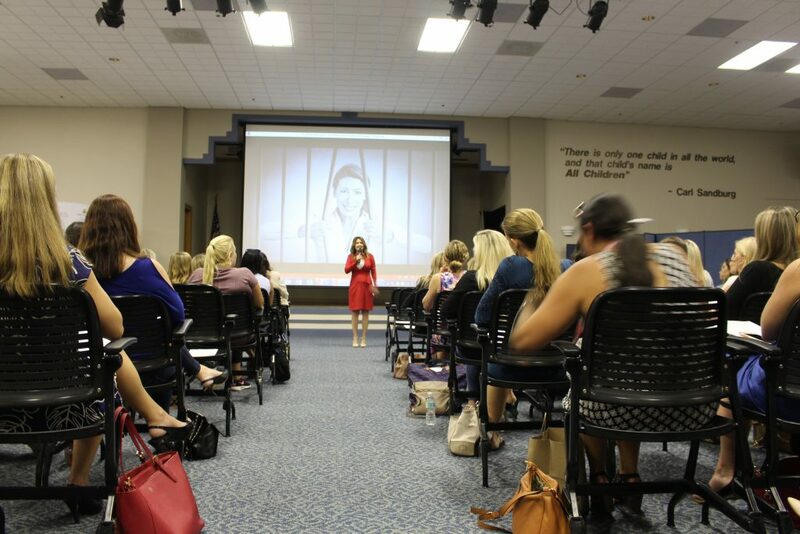 Have you ever been to a women’s business conference and been disappointed by the speakers? 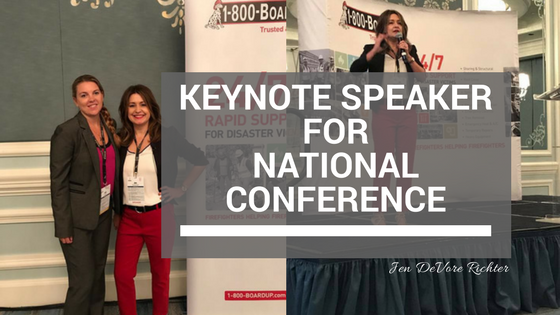 You wanted an inspiring keynote speaker and they did not deliver. 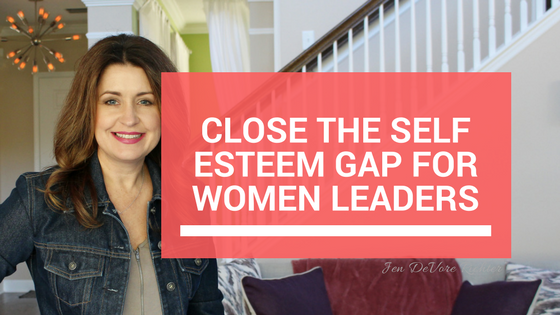 Have you walked out of a women’s conference feeling inspired, but not knowing which direction or action to take? 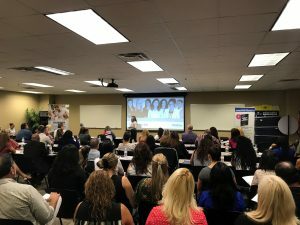 Have you felt “icky” watching the keynote speaker at a women’s business event melt down because she wasn’t prepared, didn’t know her material, or had NO point to her presentation? 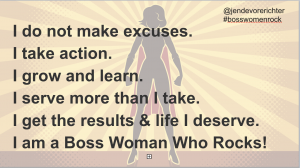 Or worse, she just promoted her business the entire time with “look at me” platitudes and turned her stage time into an infomercial? 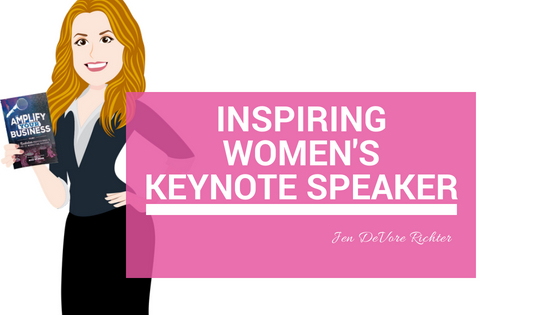 When you book Jen DeVore Richter as your event’s keynote speaker, these things WILL NOT HAPPEN. 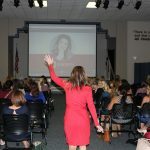 You audience members will hug her, thank her, want to take photos with her, be inspired, and leave with a concrete ACTION PLAN for how to apply the business growth insights she will share with them. 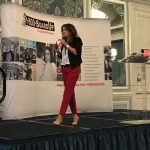 She cuts through the jargon, self-serving platitudes and gets right to the heart of the matter- your group is at the conference because they need to GROW THEIR BUSINESS. 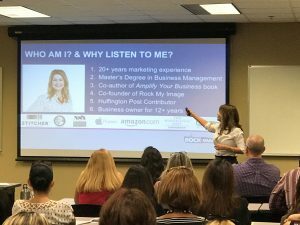 Jen gives them the truth about marketing and sheds light on the non-sense the gurus have been spouting for years. 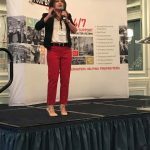 She will get your audience focused, energized, and empowered to achieve sales success in their business. 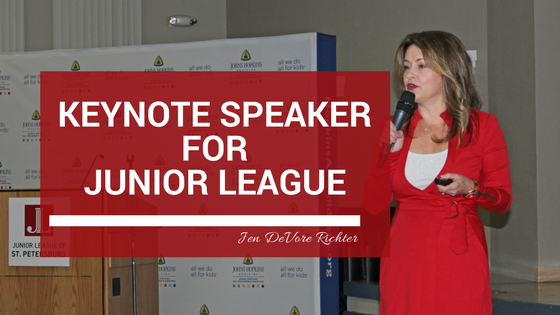 You will look like an absolute hero to your committee, boss, and the audience for making the right choice in selecting a speaker who gets it, is relatable, is motivating, and ensures that each person knows exactly what to do with the entertaining information she shares. 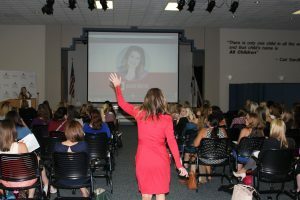 Hailed by audiences as a gifted storyteller and for her no nonsense approach to business, keynote speaker Jen DeVore Richter speaks about how as women in business, we can use our unique gifts and talents to fulfill a bigger purpose and positively influence each person we come in contact with including our customers, clients, and team members. 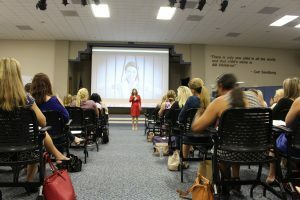 Jen inspires women to claim their stage in life to realize the business and life of their dreams. 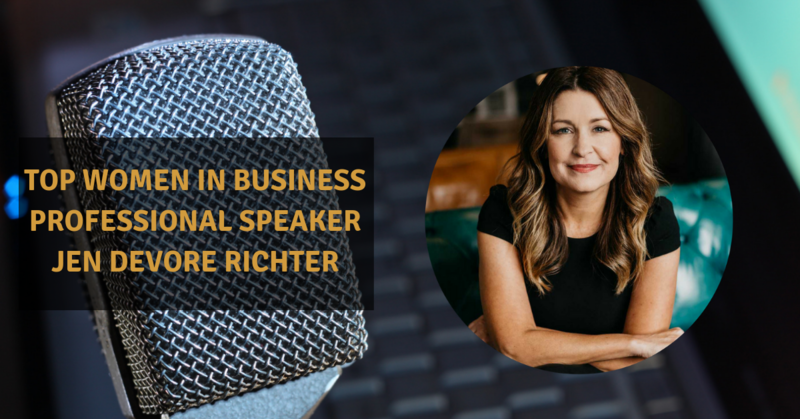 As a top female business speaker and marketing trainer, Jen is on a mission to inspire and empower women to build the business and life of their dreams so they can live their true purpose. 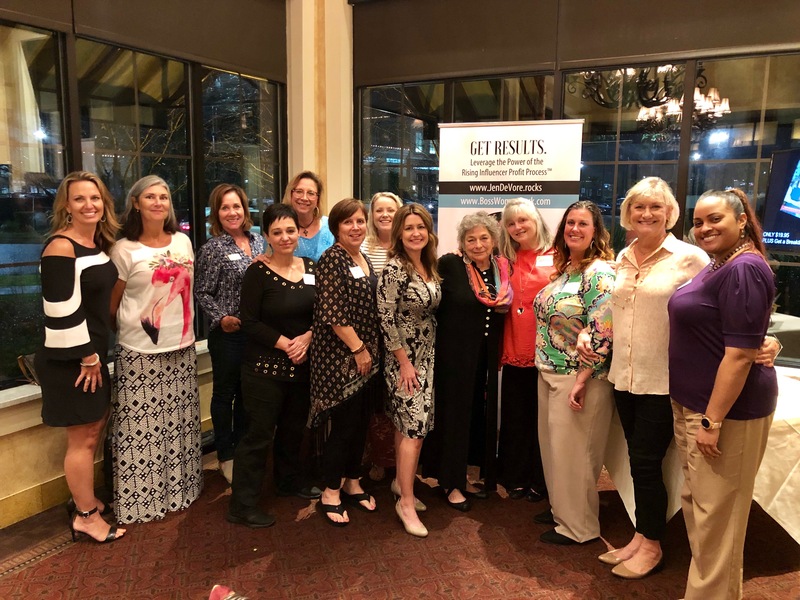 Now more than ever, women are moving into positions of leadership in their businesses and communities so they can fulfill their mission. 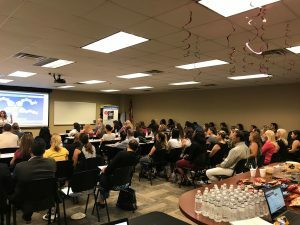 A professional image and personal brand that stands out from the crowd and resonates with their audience is going to be key to getting their message heard. 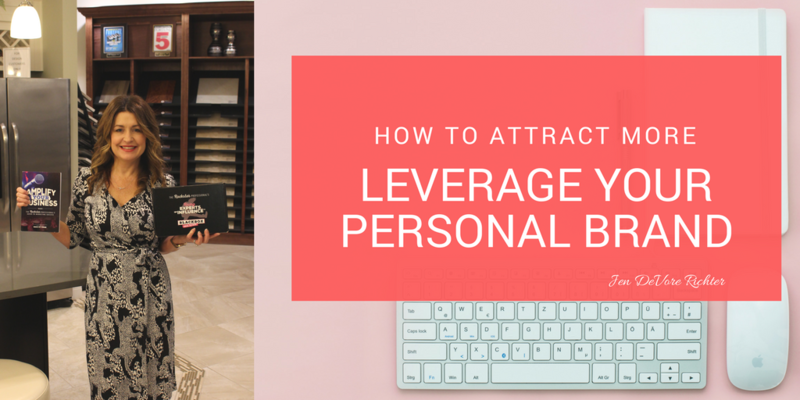 How to Use Personal Branding to Move Up, Make More, & Thrive! One of the main frustrations business professionals have is standing out from their competition. 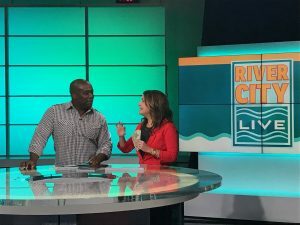 It’s not enough to have a website and Facebook page anymore. Everyone has those tools! 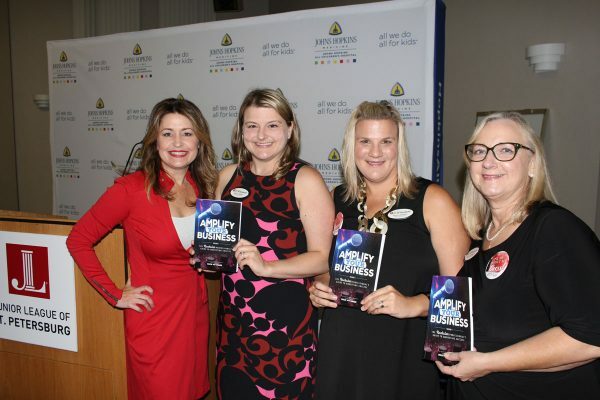 Being seen as the authority in your industry and leveraging your expertise is key. 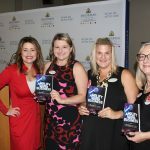 Claim My Stage focuses on elevating a professional’s personal brand so they can be seen as an industry expert and become a major player in the Marketing Identity Revolution™. 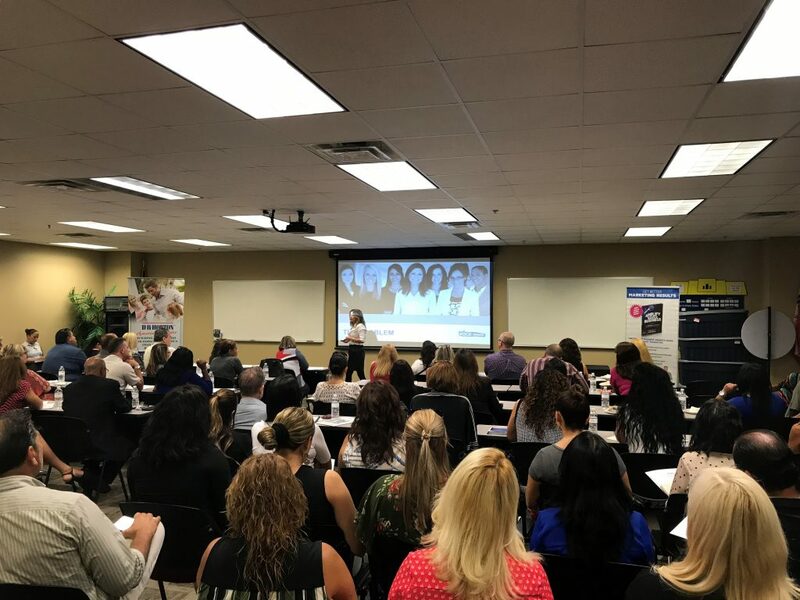 Using concepts from her proprietary Rockstar Professional’s Business Growth Blueprint™, Jen will share insights that will inspire and empower audience members. 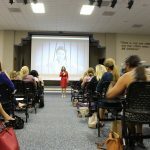 To book Jen to speak at your women’s business conference, please call (904) 382-7255 or click here to complete web form. 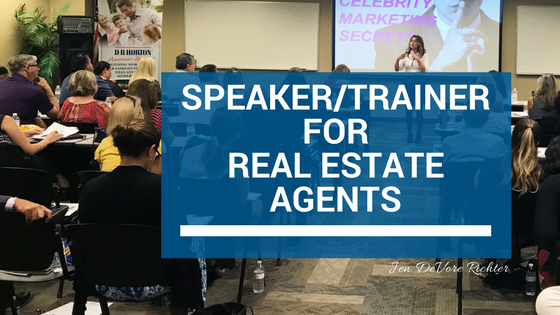 Event helps real estate agent professionals with elevating their marketing effectiveness using modern business growth strategies. 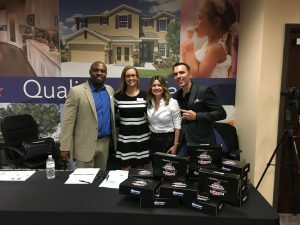 Tampa, FL – November 2 & 3, 2017 – Jen DeVore Richter, author, professional speaker, and expert in small business marketing and personal branding presented her signature keynote presentation “How to Leverage Personal Branding to Attract More Buyers & Sellers” to groups of real estate agents during a Florida state tour sponsored by D.R. Horton. 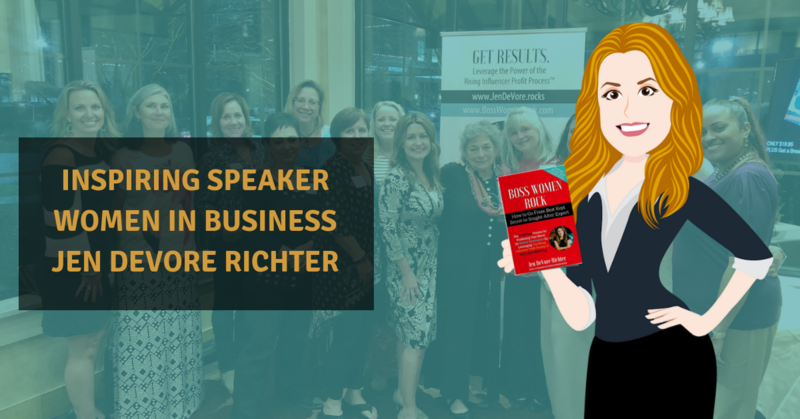 Jen DeVore Richer is an author, national keynote speaker, women business expert, and CEO of Boss Women Rock. 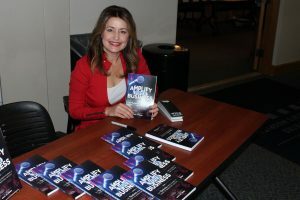 In a career and life changing move, Jen quit her job working for NASA as a marketing executive to pursue the American dream of owning her own business. 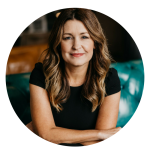 After 12 years of success, she is now on a mission to inspire 1 million people to redefine what success looks like for them and to flip the national small business failure rate of 80% upside down to achieve a success rate of 80% or better. 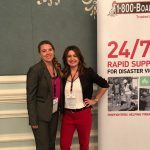 Jen is a media expert and contributor for the HuffPost sharing insights and articles about small business growth. She was published in the media 28 times in 2017. 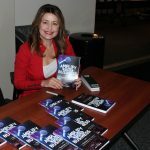 Her creative approach to business has been published in multiple books including her latest: Boss Women Rock: How to Go From Best Kept Secret to Sought After Expert as well as her magazine and podcast, Boss Women Rock: Success Secrets. 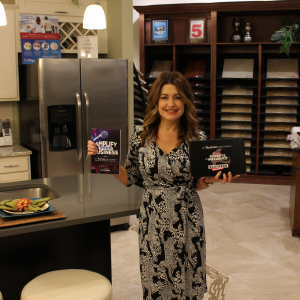 She resides in Jacksonville, FL near Ponte Vedra Beach with her husband and his two children. 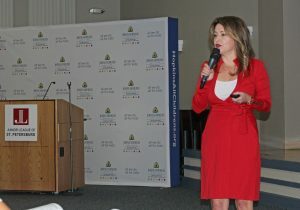 To book Jen as a keynote speaker for your women business expert event, please call (904) 382-7255. 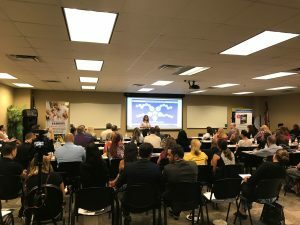 Event empowers community leaders with spreading their message using modern business growth strategies. St. Petersburg, FL – Sep. 18, 2017 – Jen DeVore Richter, author, professional speaker, and expert in small business marketing and personal branding presented a 1-hour personal branding keynote presentation to a group of over 100 top women leaders at the Junior League in St. Petersburg, FL on Tuesday, Sep. 18, 2017. 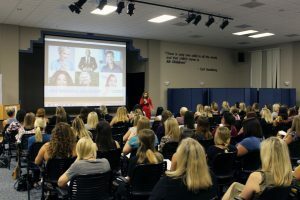 To book Jen as a keynote speaker or trainer for your event, please call (904) 428.8764 or click HERE for webform.